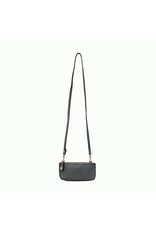 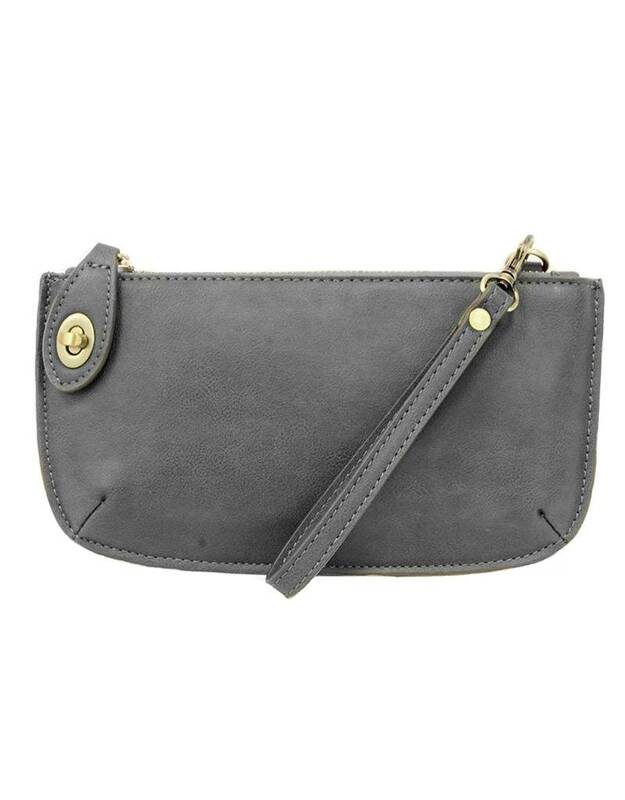 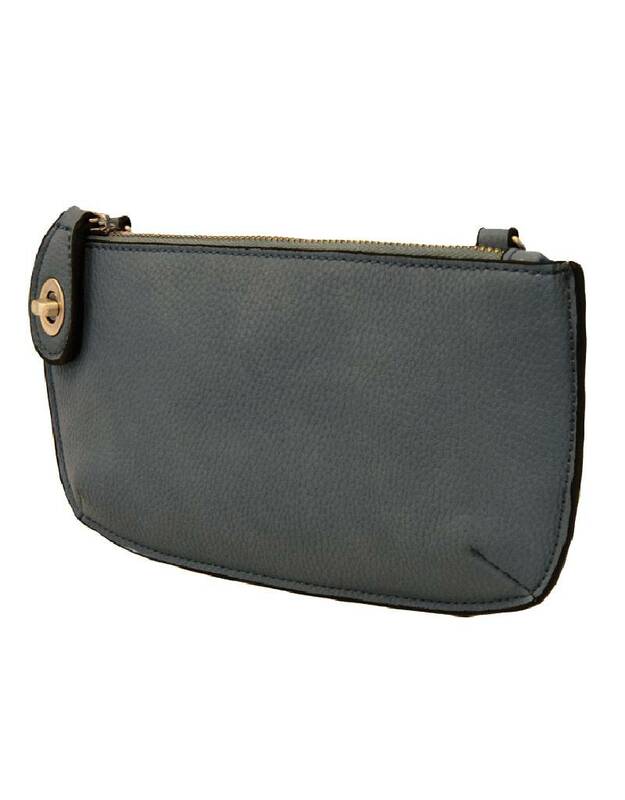 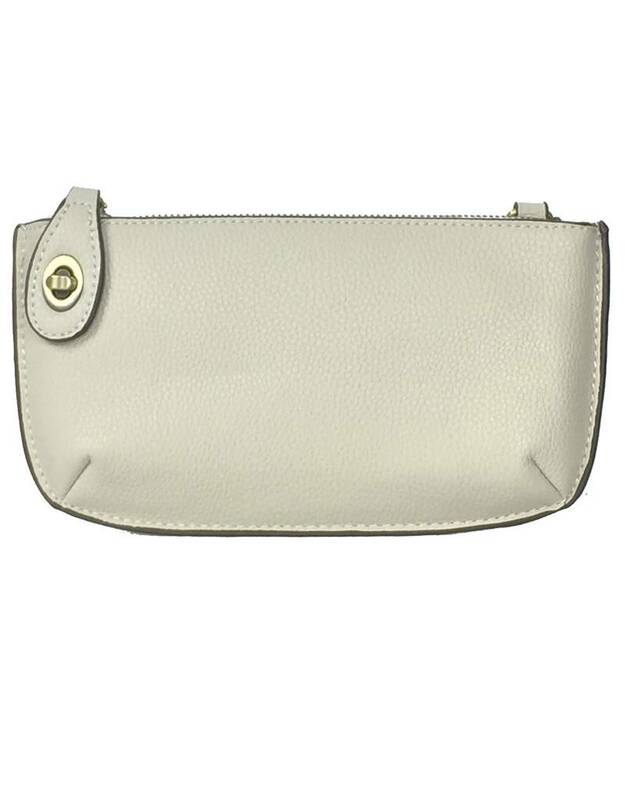 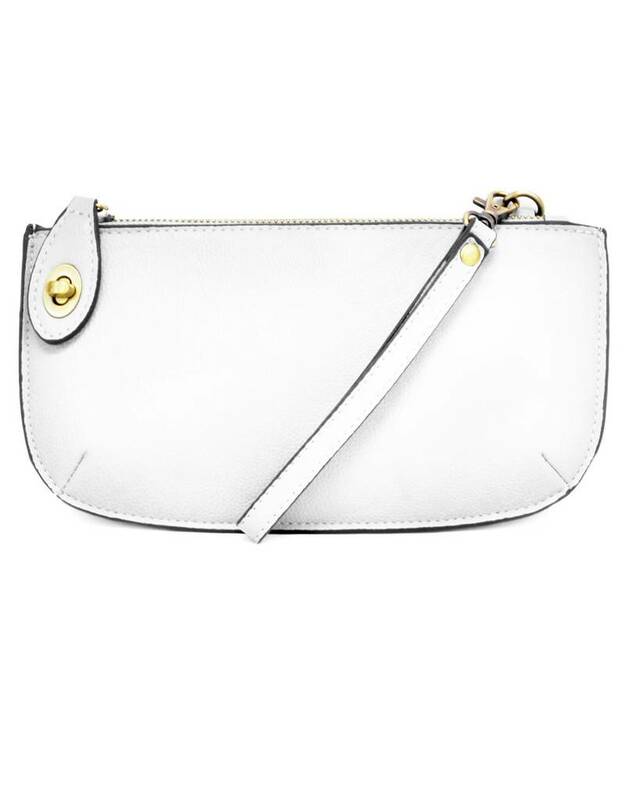 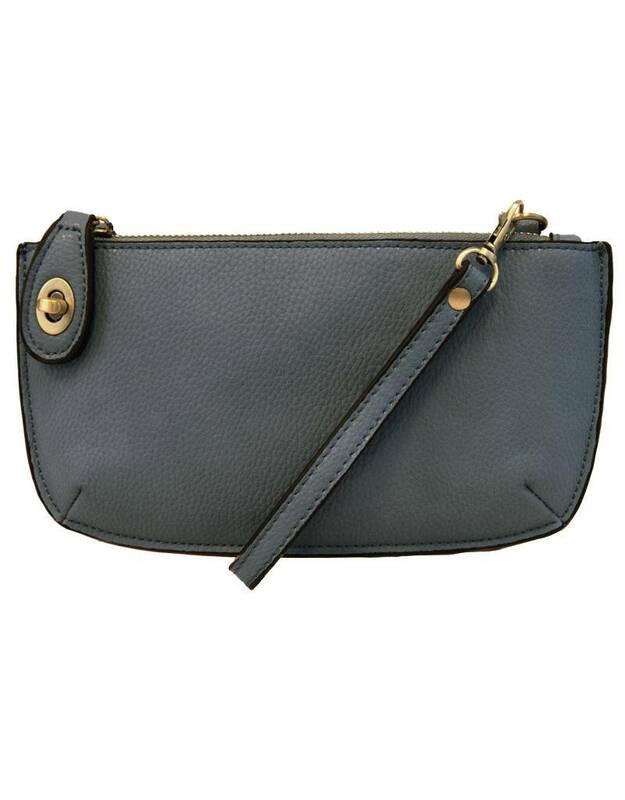 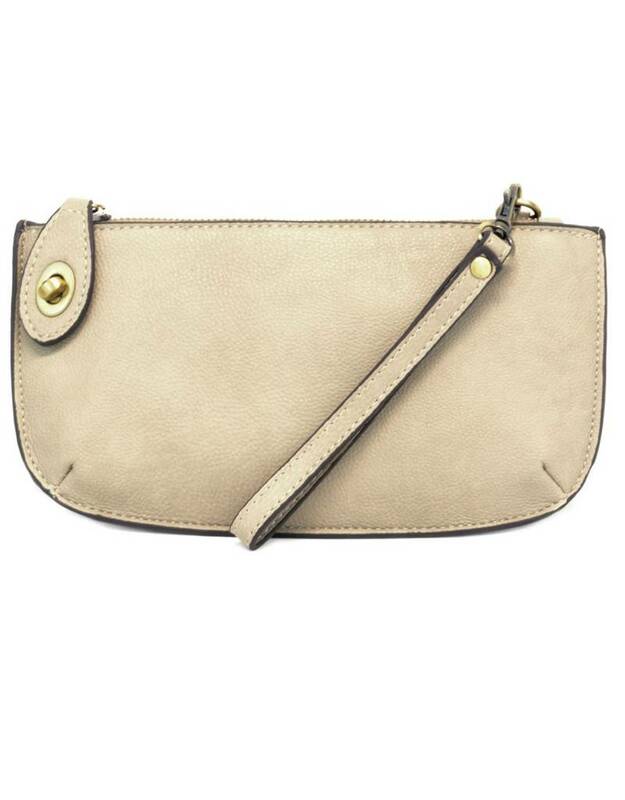 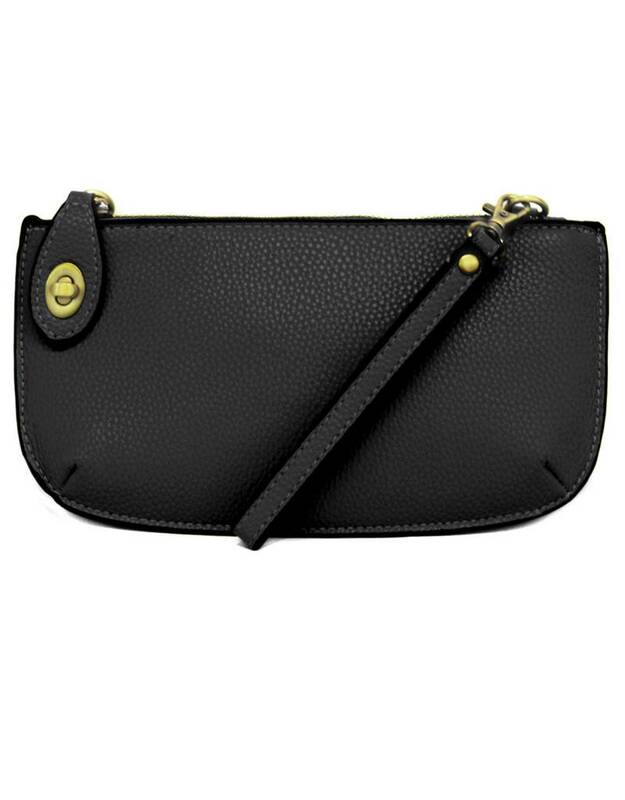 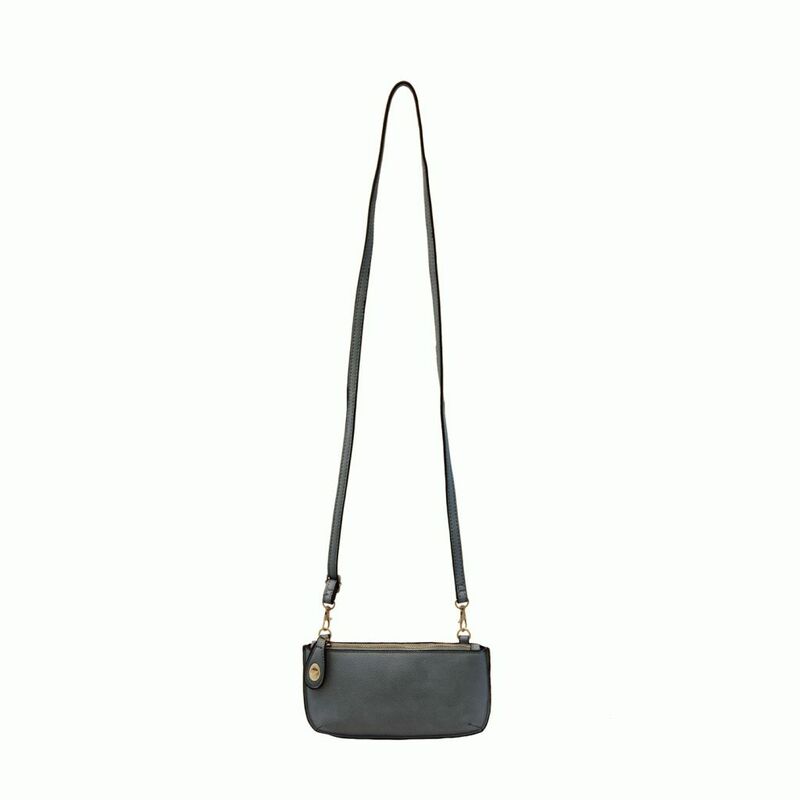 Our most popular Mini Crossbody Wristlet Clutch is known for its sleek silhouette and is available in 67 different colors. 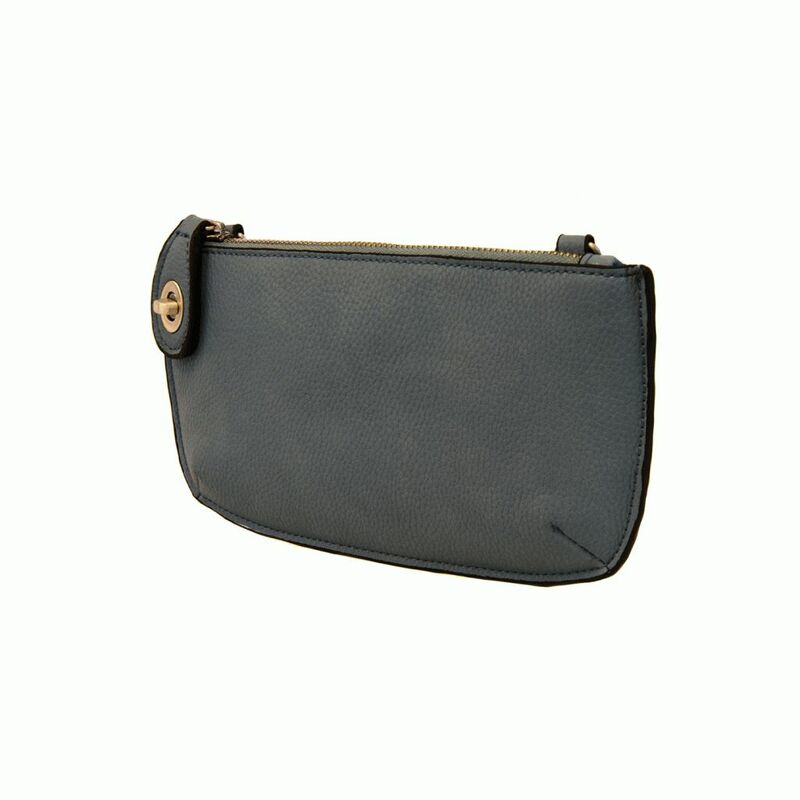 Featuring a polished turn lock, six card slots and interior zipper for change, this bag keeps all your valuables organized. 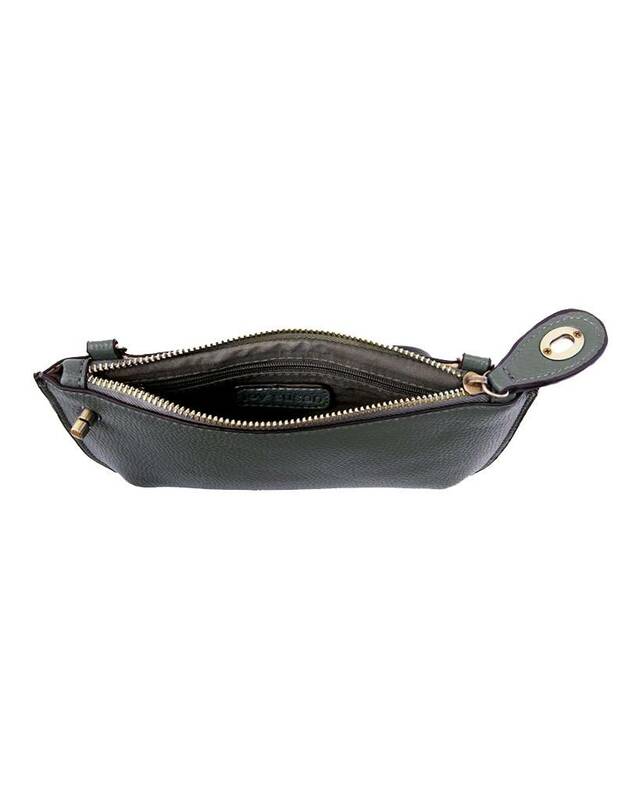 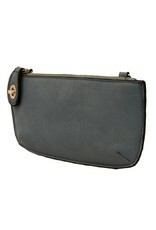 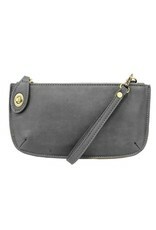 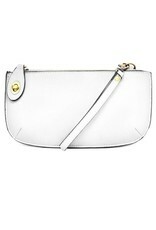 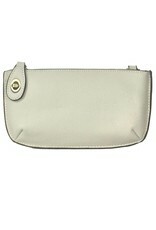 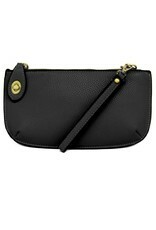 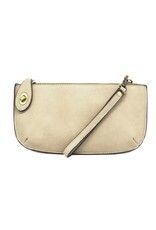 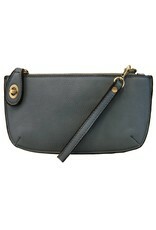 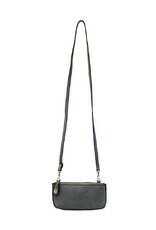 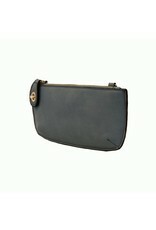 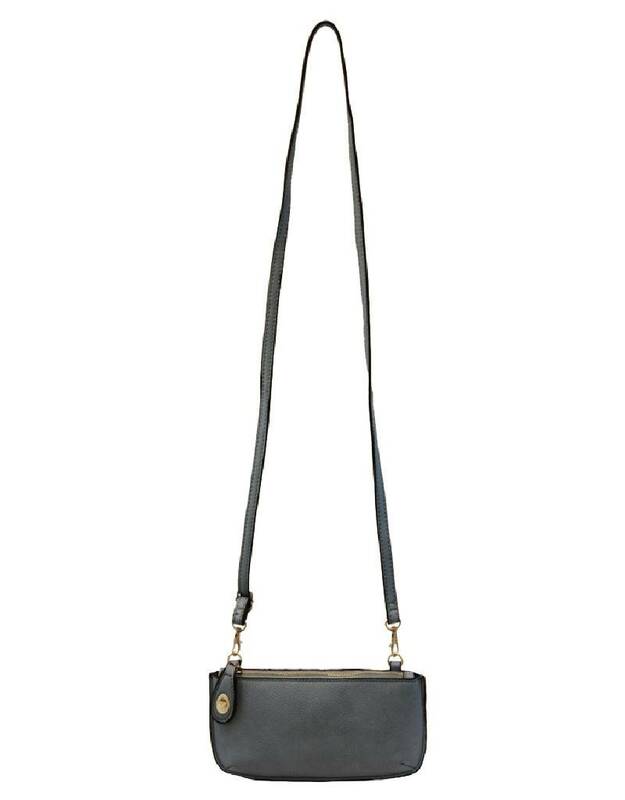 Use the included strap to turn this clutch into a shoulder bag or crossbody bag. 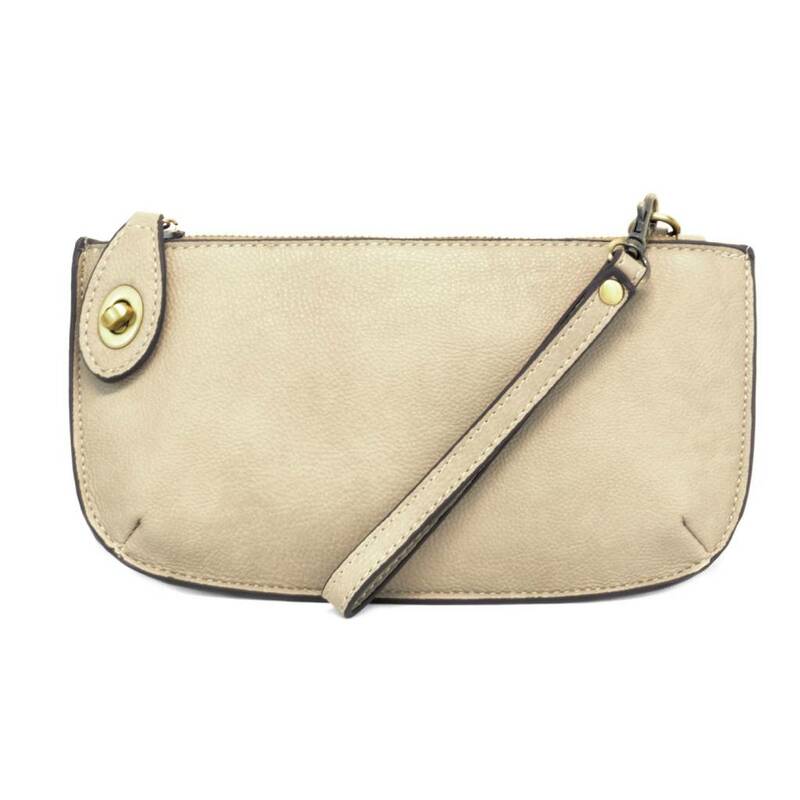 You may have difficulty deciding what to wear, but you’ll never worry about what bag to carry with this versatile clutch in your closet!